TheTrans-continental trading routes known in world history as the "Silk Road". The Grand Canal (Da YouHe'), the largest and longest ancient artificial river (or Canal) in world history ..
Time-line of all 16 Ching Emperors, Life, Love, achievements. 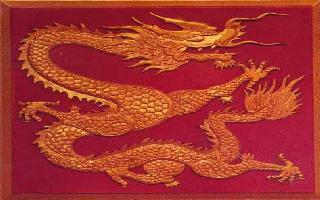 Imperial Ming-styled Dragon Logo, symbolising the Emperor, his might, longevity of Reign and prosperity. During the early Ming Dynasty China was the most influential trade nation and most important military power in East and South-East Asia. A Native Han Chinese Dynasty, the Song BlaBla. In 587 AD, the world’s first lock gates were invented by the Sui Dynasty engineer Liang Rui for one of the original sections of the Grand Canal along the lower reaches of the Yellow River. Initiated in the Sui Dynasty (581 AD - 618 AD), the Grand Canal was extended during succeeding Dynastic Era's finally seeing completion during the Yuan Dynasty Era (1271 AD - 1368 AD) and early Ming Dynasty Era (1368 AD - 1644 AD). 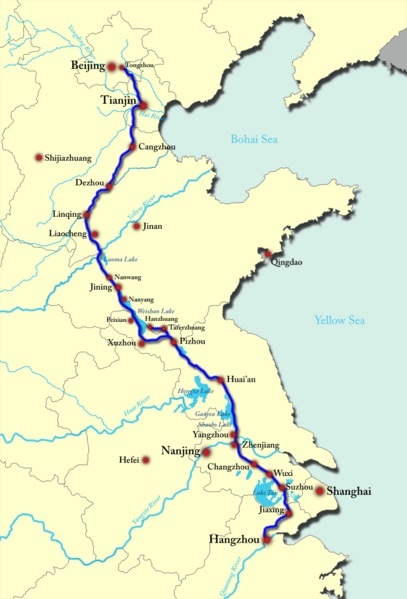 Upon completion it had a length of around 1,776 kilometers (1,104 miles) - also said to be: 1794 km or 1115 Miles depending on source) connecting up various large rivers of China into the largest mand-made river in human history. Song Dynasty Achievements: BlaBla. The Song Dynasty is considered the highpoint of the Confucian Scholar gentry, the Imperial Examination system and the Imperial Administration. The Song Dynasty saw a revival of Confucianism which was developed by several schools and scholars into the theories of Neo Confucianism. Capital City: Kaifeng, Henan Province. Later during what is known as the Southern Song Dynasty the Capital was Hangzhou in Zhejiang Province with Kaifeng serving as the secondary Capital until its fall at the hands of advancing Mongolian Armies and their allies. Name: Zhu YuanZhang (TaiZhu), named as first ruling Emperor Hong Wu. Hongwu Reign Period (1368 AD - 1398 AD). The entire Ming period was..